If you live with the pain of arthritis every day, you may find yourself cycling through numerous treatments trying to find relief. Some of these treatments may cause complications, adding to the distress of your arthritis. Applying a CBD salve for arthritis pain may provide you with a path to relief without any harmful side effects. Below you will find some of the benefits you may obtain from Hemp Bombs CBD Pain Freeze. CBD Salve for arthritis potentially gives you the same relief from pain without the need to ingest or smoke anything. CBD Salve is a safe topical solution to use before or after physical activity, at work or home after a long day. CBD works by binding to pain receptors controlled by your Endocannabinoid System (ECS). Your ECS is made up of cannabinoid receptors that are located throughout your central nervous system and brain. These cannabinoid receptors are responsible for managing your pain, inflammation, mood, sleep, stress, and many other bodily functions. When you apply Hemp Bombs CBD salve to your skin, it activates the cannabinoid receptors within your body to bind and regulate the area of pain. CBD contains natural anti-inflammatory properties that may provide relief to swollen, painful joints all over your body. Applying CBD Pain Freeze can help relieve your discomfort, giving you the chance to go about your day in a typical fashion. If you have a preference for natural arthritis solutions, you can rest assured you are getting just that with our CBD Pain Freeze. The CBD used in our CBD Pain Freeze is derived from Hemp that is grown using sustainable solutions under strict quality control conditions. Our methods are eco-friendly from extraction to packaging. Hemp Bombs CBD salve for arthritis contains all-natural ingredients that will not cause any harmful side effects. Pure CBD comes directly from the Hemp plant. Hemp Bombs only uses CBD that is extracted from Industrial Hemp grown by reliable American farmers. We make sure every product produced by us is 100% natural and contains no preservatives or harmful toxins. With Hemp Bombs CBD salve, you will get a complete breakdown of every ingredient used in our Pain Freeze on our website and the product label. The same transparency provides you with a clear understanding of how we produce our salve. Using our CBD Pain Gel will never leave you feeling the "high" you feel when ingesting THC products. At Hemp Bombs, we guarantee you’ll never have to worry about coming across any traces of THC in any of our CBD products. That means you’re free to take them anywhere in the country without worrying about violating any federal laws. You will never be in danger of failing a drug test solely by using our Hemp-derived CBD salve for arthritis. 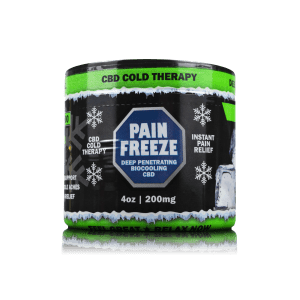 Muscle Ache Relief – You can apply CBD Pain Freeze onto any muscle that has been stressed or strained. 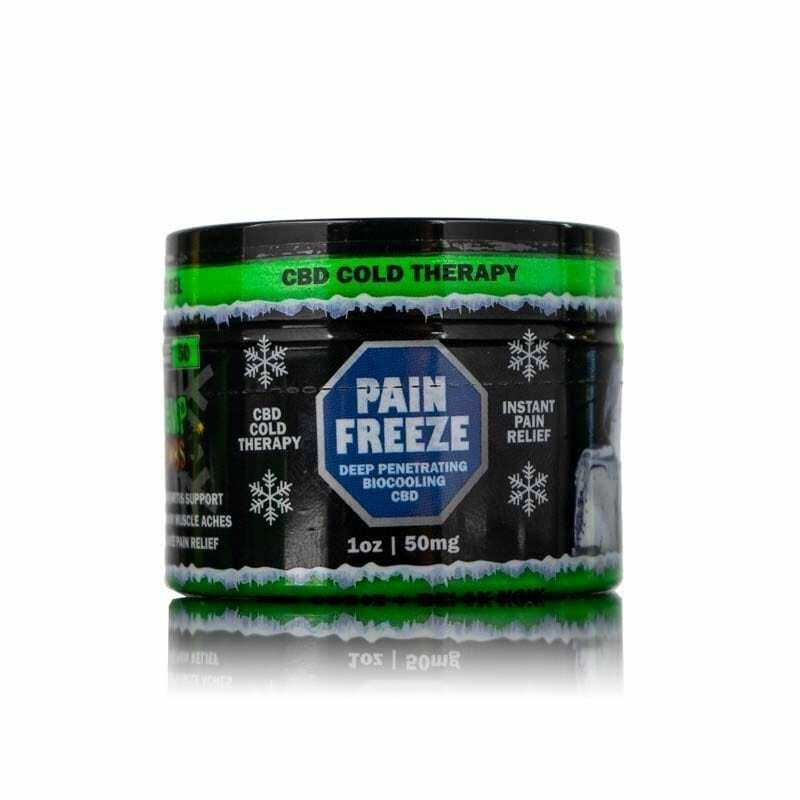 Our CBD Pain Freeze is a cooling solution that may provide relief for aches and cramps. Post-Workout Relief – Applying our salve after your workout can reduce the amount of soreness you experience. Hemp Bombs CBD Pain Gel potentially revitalizes and soothes areas that are hurting after a workout. Mild Sunburns – CBD Pain Freeze can be applied to areas of your skin that have been burned from the sun. Our CBD salve provides a chilling and comforting sensation that may calm irritated skin from sunburns. Fibromyalgia Issues – The fast-acting effects of our CBD salve may be beneficial to those with flare-ups of fibromyalgia pain. CBD contains natural anti-inflammatory properties that potentially help regulate and reduce inflamed areas of your body. Why Choose Hemp Bombs CBD Salve for Arthritis Over Other Methods? CBD salves are a great way to introduce newcomers to the benefits CBD provides. It's as easy as taking a finger sized scoop and applying to your area of distress. You can try it out as needed without worrying about any irritations or harsh side effects. Many people have reported that they end up happy with the relief they receive from our CBD salve for arthritis. They’re delighted to have access to a method of pain relief that could lower their dependency on harsher prescriptions with varying effects on their arthritis symptoms. We do recommend letting your physician know about your intent to use this product. The idea of learning to use oils and other forms of CBD might seem a little intimidating. It’s still a good idea to learn about how CBD interacts with different drugs even if you are not taking it orally. This knowledge may help if you ever decide to try other forms of CBD down the road. There are many forms of CBD salve for arthritis available for purchase from online retailers or specialty stores. 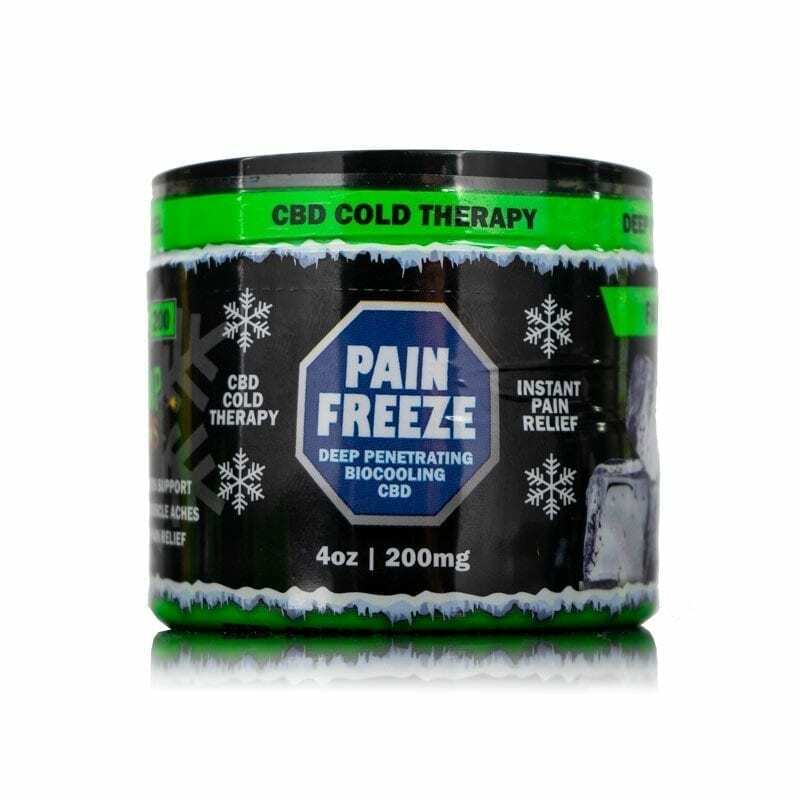 You can purchase our CBD Pain Freeze directly from our website by shopping below. Make sure to complete thorough research on products before making them part of your arthritis pain relief regime. We have third-party lab tests conducted to ensure the safety and purity of our CBD products. We also clearly state on our labels and website how much CBD is in our products. Our goal is to provide you with an all-natural product that will aid you and provide pain relief.